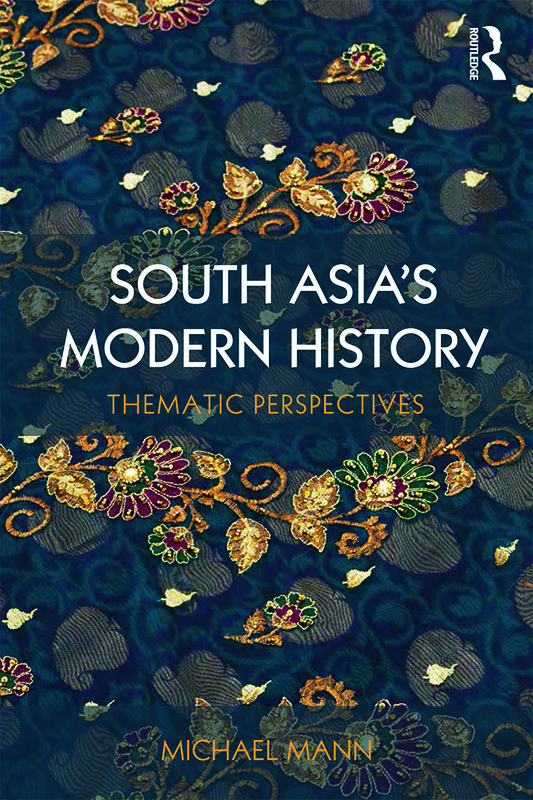 This comprehensive history of modern South Asia explores the historical development of the Subcontinent from the beginning of the eighteenth century to the present day from local and regional, as opposed to European, perspectives. Michael Mann charts the role of emerging states within the Mughal Empire, the gradual British colonial expansion in the political setting of the Subcontinent and shows how the modern state formation usually associated with Western Europe can be seen in some regions of India, linking Europe and South Asia together as part of a shared world history. This book looks beyond the Subcontinent’s post-colonial history to consider the political, economic, social and cultural development of Pakistan and Bangladesh as well as Sri Lanka and Nepal, and to examine how these developments impacted the region’s citizens. South Asia’s Modern History begins with a general introduction which provides a geographical, environmental and historiographical overview. This is followed by thematic chapters which discuss Empire Building and State Formation, Agriculture and Agro-Economy, Silviculture and Scientific Forestry, Migration, Circulation and Diaspora, Industrialisation and Urbanisation and Knowledge, Science, Technology and Power, demonstrating common themes across the decades and centuries. This book will be perfect for all students of South Asian history. Michael Mann is the head of South Asia Studies at Humboldt-Universität zu Berlin. His previous publications include British Rule on Indian Soil. North India in the First Half on the Nineteenth Century (1999, second edition 2002); together with Carey A. Watt (eds): Civilizing Mission in Colonial and Postcolonial South Asia. From Improvement to Development ( 2011) and Sahibs, Sklaven und Soldaten. Geschichte des Menschenhandels im Indischen Ozean (2012).